As someone who grew up playing the hell out of metroidvania games, it’s been really hard to sit by and watch the genre from afar as it undergoes a new golden age. I mean, don’t get me wrong, it is not that I’ve outgrown these sorts of games. Open-ended level design. Ability-driven progression systems. Tight controls. Unique boss encounters. I’m still 100% down for all that stuff. The thing I’m not so down for nowadays is the time investment. Seeing them through to the end can sometimes be less of an adventure and more of an endeavor. I don’t doubt that Hollow Knight’s sixty-hours of adventure is worth my while. But sixty-hours is a tough sell for me these days. 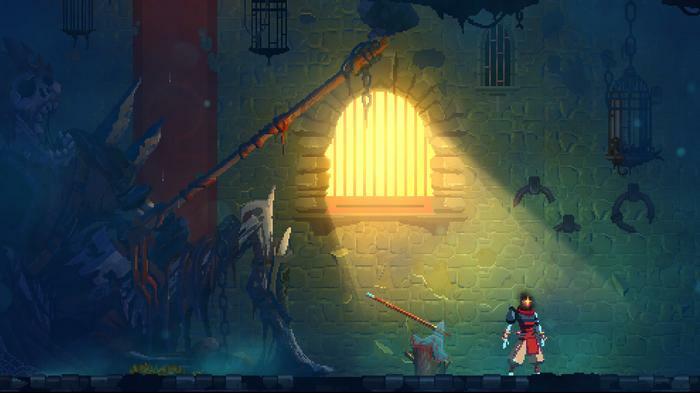 A ripping and roaring contrast to this bind, Dead Cells feels like it’s almost been designed with this dilemma in mind. It’s the best of the genre, brought to both the usual fans and players too time-poor to keep up with the genre's recent resurgence. 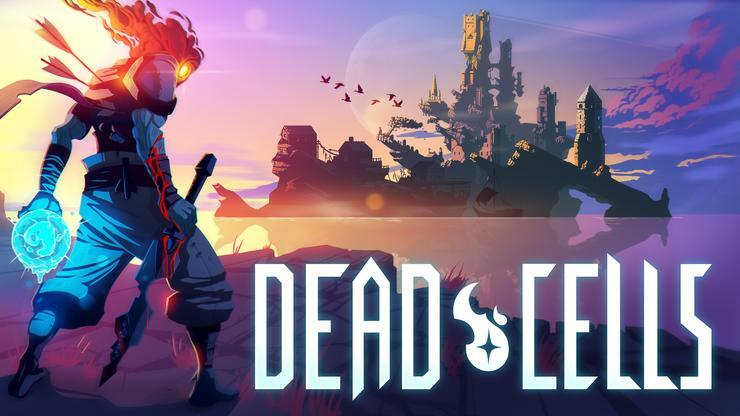 Set in a dilapidated ruins of a fallen kingdom, Dead Cells sees you take control of a nameless, headless, warrior caught up in a grim cycle of death and reincarnation. Appropriately, this premise translates into a format and structure that’s as much inspired by roguelikes as it is metroidvania games. Every run starts the same, with you waking up in the Prisoner’s Quarters. However, thanks to multiple routes and a constantly-evolving arsenal of weaponry, rarely do they end the same way. Over time, a simple hack-and-slash formula gives way to a webwork of radical combinations. Similar to something like Monster Hunter, the hierarchy of weapons and abilities in Dead Cells isn’t strictly linear. Every weapon is interesting in their own way and suits and empowers a different style of play. Sometimes, the Twin Daggers and Throwing Knives are the items you feel like building your playstyle around. Other times, combining Ice Blast and the Explosive Crossbow is the way you want to go. You never know what each run in Dead Cells will start you off with. And while you can build towards a specific and familiar combination that you know works, it’s often just as fun to experiment. If it all goes wrong, don’t sweat it. There’s always next time. Regardless of what you equip yourself with, each level in Dead Cells will see you fight your way through mobs of enemies to earn gold and items. You’ll also collect cells - the game’s most valuable currency. Die and you’ll lose it all. But make your way to the end of a level, and you’re able to bank these cells towards persistent rewards and upgrades that stick with you going forward. One upgrade might allow you to keep a portion of your gold when you die while another will give you a flask that gives you the ability to heal some of the damage you accrue in each level. Generally-speaking, the more you play of Dead Cells - the more room for mistakes you’ll earn. Beyond that, cells can also be used to unlock new equipment and abilities. This allows you to potentially find them in levels and sometimes even get them for free as a starting item. Like most metroidvanias, Dead Cells gets easier the more you play of it. It also gains additional dynamism and depth. There’s a wealth of nuance here from the modifier and equipment upgrade system to the ways in which the branching paths interact. While they all lead to the same final destination, you won’t get to see every level in a single run. 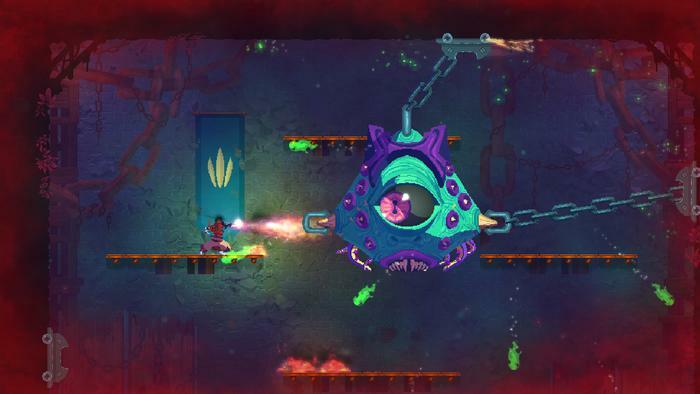 Like the weapon system, Dead Cells tries to encourage experimentation here.Different levels offer different enemies, challenges and rewards. 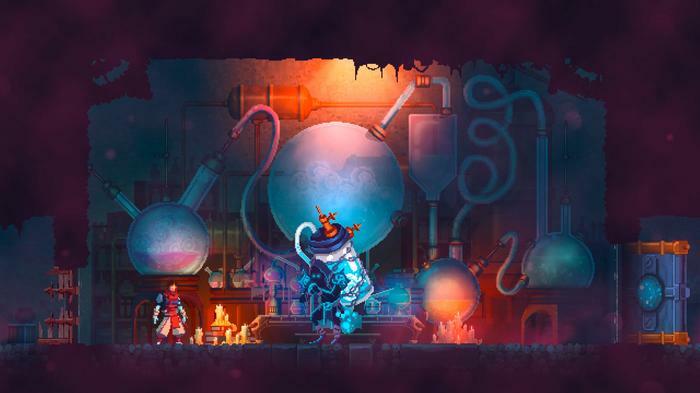 As per the conventions of the genre, most levels in Dead Cells are filled with obstacles you can’t initially overcome. However, finding and defeating each of the game’s secret bosses will bestow your character special runes that grant new movement abilities like being able to wall jump. These upgrades are persistent through death. So you don’t have to worry about losing them and they serve to make even exploring the earlier levels in the game more interesting over time - rather than making them a chore. 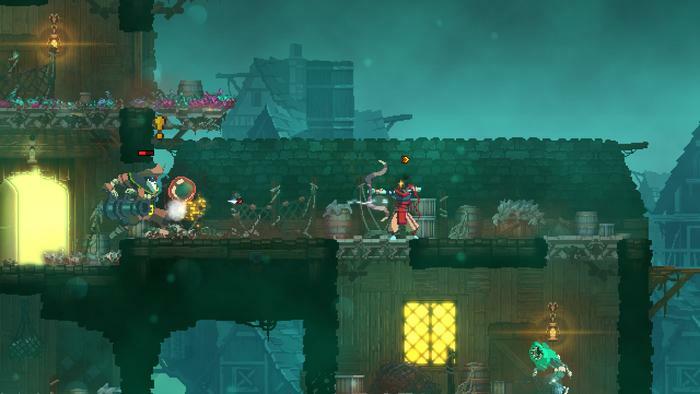 Dead Cells is also quite unique in how it emphasizes and encourages fast play. Most levels usually include special rooms - usually full of loot and cells - that can only be accessed if your run-time is low-enough. Play too slow or cautiously, and you’ll be cut off from these bounties by a curt notifications that tell you exactly slow you were. There’s always next time. A solid run through Dead Cells can be as short as five to ten minutes or as long as half-an-hour to forty-five minutes. And even if you do eventually fall to a few silly, choice mistakes - you’ll still be banking a few cells on the way, drawing ever closer to the next set of upgrades. It is, at times, an almost dangerously-addictive cycle.You can dip into Dead Cells for a quick run or sacrifice hours to it. Both routes are valid, though it doesn't take long for the former to morph into the latter once you start to get invested. I’m glad I waited to sink my teeth into Dead Cells until it fully-graduated from Steam’s early access program. it means my praise doesn’t have to come with caveat or reservation. Dead Cells is a rare game that actually lives up to the hype around it. Even held aside recent efforts like Hollow Knight or the upcoming Ori and the Will Of the Wisps, it holds up as a well-conceived and adeptly-executed take on both the roguelike and metroidvania genres. 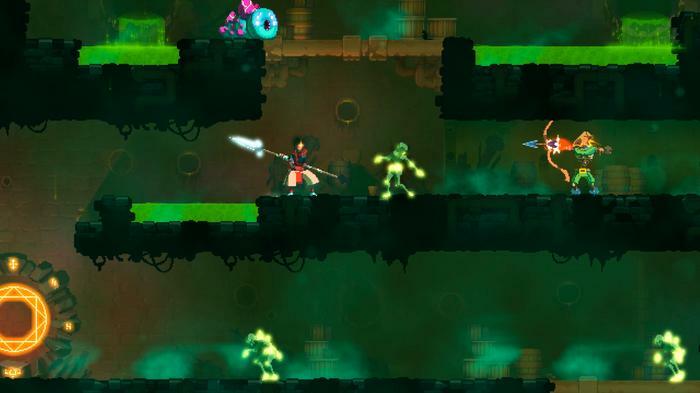 Somehow, someway, Dead Cells manages to take the best of both and eke out a desirable and compelling middle-ground. It’s a game about effort, execution and experimentation. In much the same way as Motion Twin sought to bring together two seemingly-incongruous genres, you're tasked with finding your own formula for resolving the tension between the weapons you have and the challenges you have to overcome. Like Dead Cells' enigmatic protagonist, you'll try, try and try again until it all comes together. Mistakes can set you back but if you're resilient, there's almost-nothing that can stop you from prevailing. Dead Cells is available now on PC, Xbox One X, Nintendo Switch and Playstation 4.